Lets see some of the basic troubleshooting methods to solve common issue in customizing emails. 1.) Email template Not loading ? 2.) Are you unable to get the text editor to edit ? 3.) Are you receiving default email instead of the email template created inside our plugin ? 4.) Are you receiving unstyled emails ? 5.) Is the alignment of shortcodes are not good in the emails ? 6.) Does your email looks bad at Outlook email client ? After selecting a template to customize, you are unable to edit the texts inside element, that is the text editor in the right side is not loading ? The conflict might occur if another tinymce script load by wordpress. This can be avoided by disabling the Visual Editor for the User who is editing the template. => Disable the visual editor as in the above screen. 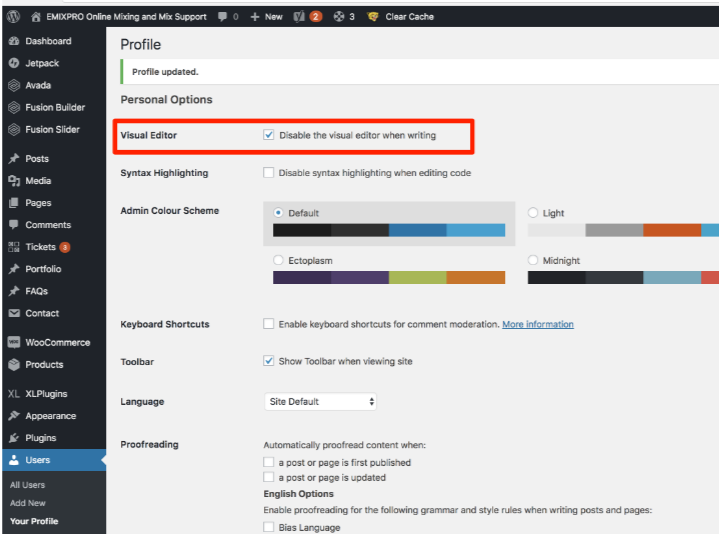 => Once disabling the Visual Editor , Clear the Cache and try to edit the email template. You can re-enable the editor after you have done with editing your email templates. 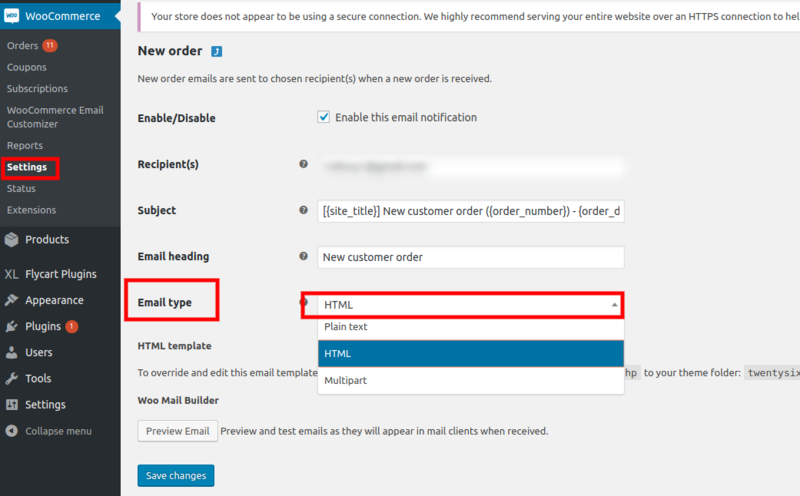 After customizing the email template and when you try to test the email template which is customized through our plugin (How to test customized email templates) , if you are receiving only the default woocommerce emails. This issue might occur because, you might be having multiple languages in your site but have not created the email template for all the languages. Make sure, that you have created email template for all your site's languages. 3.) Are you receiving Unstyled emails ? Do you see, HTML tags also in the mails ? This is because, the email type set will be plain text. Then, have a quick check here. Change the emails content type to HTML. 4.) Is the alignment of shortcodes are not good in the emails ? If the Billing and Shipping Address shortcodes looks bad in your email, it is possible to set the short codes into tables which will avoid the incorrect alignment of short codes. 5.) Does your email looks bad at Outlook email client ? Some versions of Outlook use Microsoft Word to render HTML email, which can cause problems with the email display.